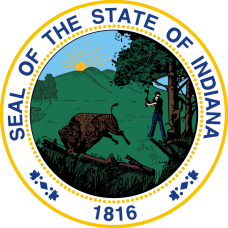 Indiana marriage records and Indiana divorce records are the responsibility of the office of the circuit court of each county; the Office of Vital Records does not have copies, although the State Board of Health maintains a marriage index beginning in 1958. Indiana's first marriage regulations were enacted in 1788, with marriage licenses mandatory in 1800. Marriage transcripts date back to 1882 and applications (with more personal information) in 1906. Neighboring Cincinnati was an "open marriage" locale, with no restrictions, and many ancestral Kentucky and Indiana marriage records can be found there. The Indiana State Archives and the Indiana State Library have indexes and marriage records for 1850-1920 and divorce records for 1882-1920, as contained in the "Indiana Vital Records Collection", compiled by the Indiana Works Progress Administration in 1942. The Indiana State Library website has an online index for pre-1850 Indiana marriages. Note: Marriage and divorce records are found at county of issue. The index of marriages can also be found at the Indiana State Library, the throughput varies however. Note: Except for the online research capabilities described below, all court record access must be done at the local level. Note: The State of Indiana has contracted with L-1 Enrollment Services to provide electronic applicant fingerprint processing services. Visit www.in.gov/isp and click on "Inkless." Record Access Requirements: The release of records is governed by IC 10-13-3-27. A "Limited Criminal History" is available to designated entities including employers, licensing agencies, schools, and certain other designates. Search Note: Submitting fingerprints is an option, but if requesting record on oneself. 100% of the records are fingerprint-supported. Record Access Requirements: Computerized records go back to 1989. Search Note: Location, DOC number, physical identifiers, sentencing and conviction information, and release dates are released.